Paper plates make a great canvas for all sorts of crafts. We’ve used them for almost every holiday! 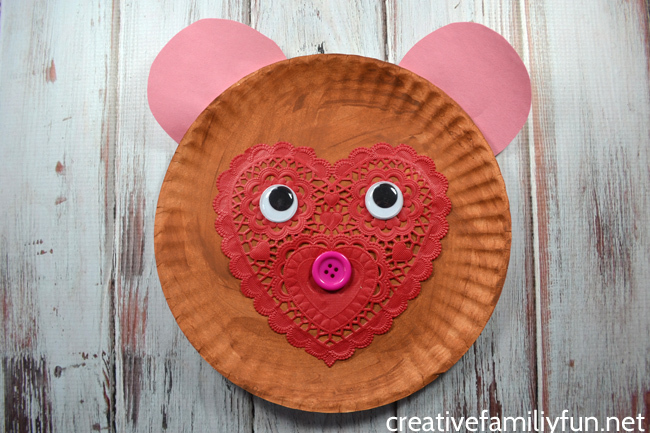 This time, we turned our paper plate into a cute Valentine bear craft. 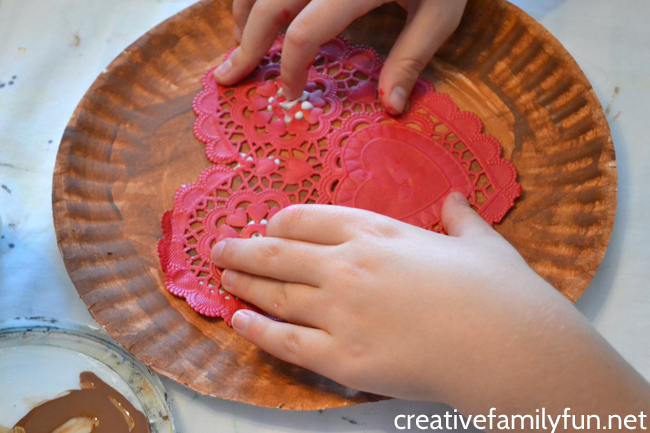 This craft is easy to make and is perfect for preschoolers. So, let’s grab some supplies and get started. Before you begin, set up your craft station. I like to use an old sheet to cover my table and my girls wear an old t-shirt to protect their clothes. This isn’t that messy of a craft, but anytime we use paint, I like to protect our clothes and table. 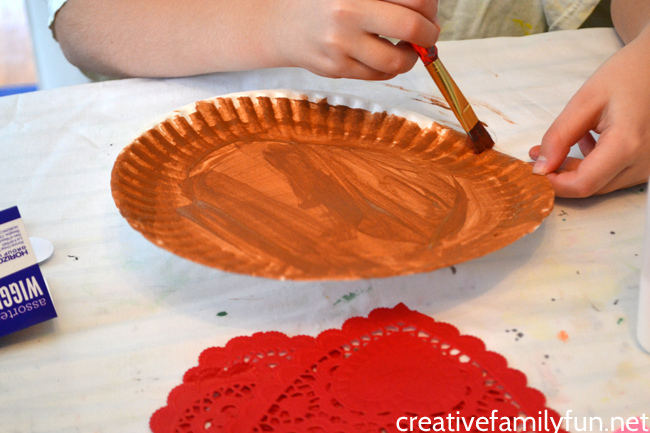 Start by using your brown craft paint to paint your paper plate for your bear’s head. Let the paint dry for awhile. 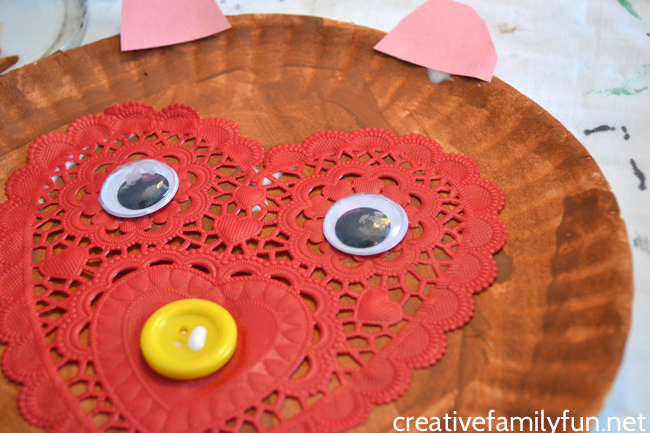 While your paint is drying, cut out two circles from the pink or red construction paper for your bear’s ears. After the paint is dry, glue your heart doily to the center of your plate. 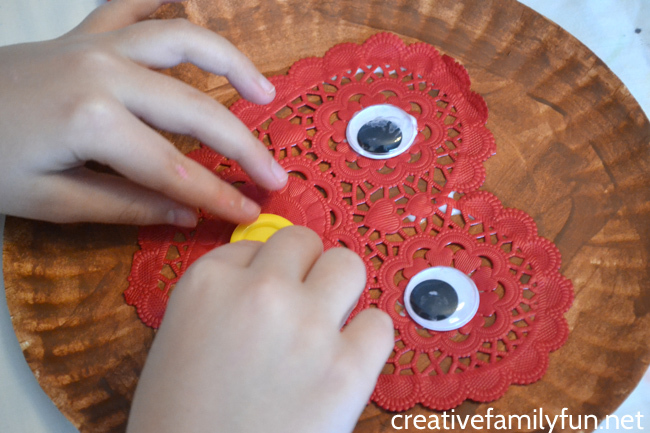 Glue the googly eyes to the upper section of the doily. Then, glue your button to the bottom section. Finally glue your circle ears to the back of your bear so at least half of the circle sticks up to look like a pair of ears. Let all the glue dry. If you’d like, you can use glitter glue or marker to make your bear’s mouth. We preferred our bear without a mouth. 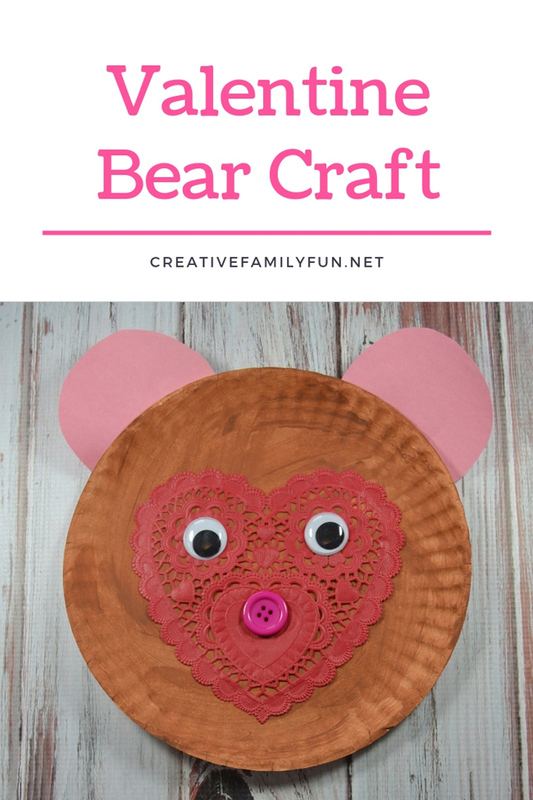 This fun Valentine bear craft was so simple to make. It’s perfect for preschoolers and even toddlers could handle it with a little bit of help.